The European Council on Tolerance and Reconciliation (ECTR) is a non-governmental organisation that focuses on monitoring tolerance in Europe and preparing practical recommendations to improve interethnic relations and intercultural communication. The ECTR consists of prominent political and public leaders, distinguished representatives of civil society, scientists and individuals who have gained global recognition for their outstanding achievements in the humanitarian sphere and in the promotion of tolerance. In 2015 Tony Blair, former Prime Minister of Great Britain, has been appointed Chairman of the ECTR. The President of the ECTR is Viatcheslav Moshe Kantor. The ECTR is based in Brussels, Belgium. The most recent ECTR initiatives include the Kantor Prize For Secure Tolerance, the European Medal of Tolerance and a research grants programme to encourage new thinking around the concept of Secure Tolerance. 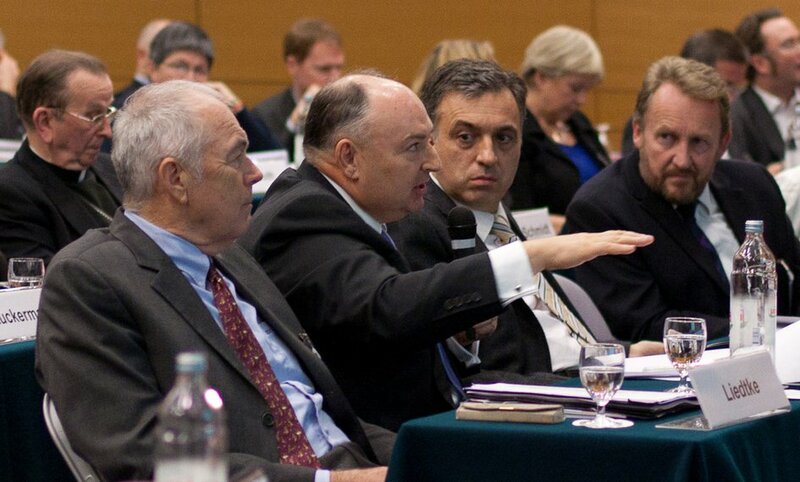 The ECTR’s first meeting was held in Paris on 7 October, 2008. The key task of the Council is to prepare initiatives capable of fundamentally influencing the promotion of tolerance in Europe and fighting all forms of racial, ethnic, religious and cultural discrimination. 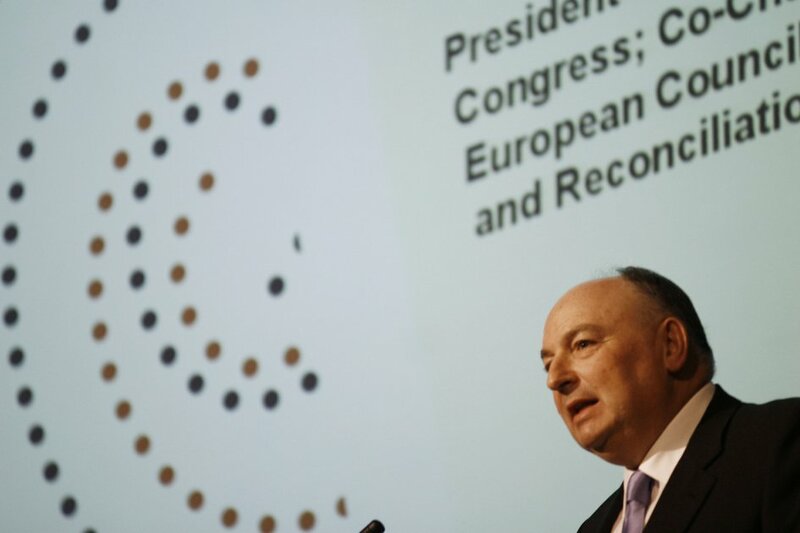 In November 2008, as part of the Week of Tolerance in Europe, the ECTR presented a European Convention on Tolerance and a concept for a White Paper on Tolerance to leading European integration institutions, first of all the European Parliament and the Parliamentary Assembly of the Council of Europe. Both of these innovative conventions have great significance in the promotion of tolerance in Europe. The European Convention on Tolerance in Europe is a complex of universal legislative steps to support tolerance and counteract all hate crimes. The White Paper on Tolerance is to become a regular, systematic collection of tolerance practices and solutions for specific intercultural conflicts in European countries. The White Paper will be the first collection of its kind focusing on the transfer of positive practical experience. 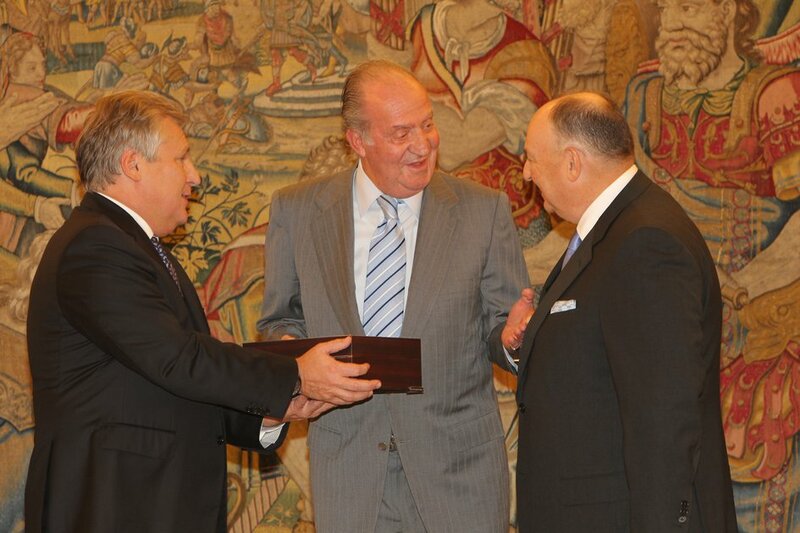 In 2010 in Madrid the ECTR conferred the first European Medal of Tolerance on the King of Spain Juan Carlos I for his lifelong dedication and devotion to the cause of tolerance and political reconciliation. 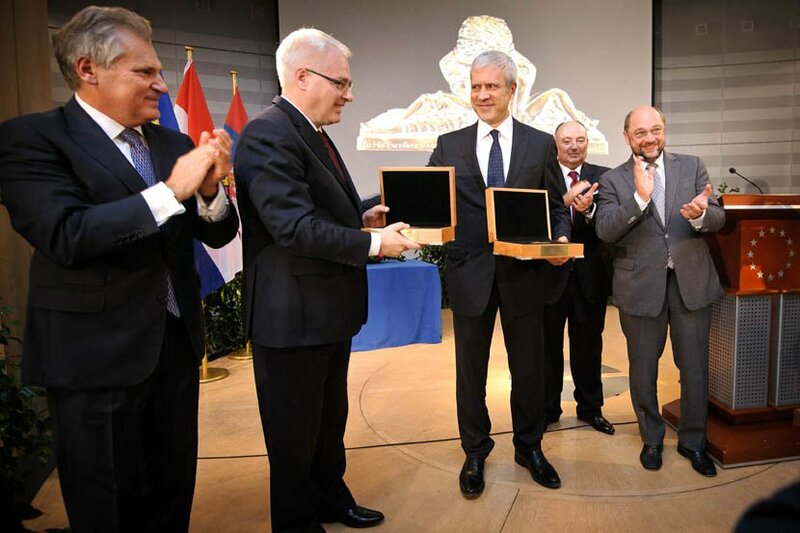 In 2012 Medals of Tolerance were awarded to President of Croatia Ivo Josipovic and Ex-President of Serbia Boris Tadic in Brussels, in recognition of their “significant contribution to promoting, seeking, safeguarding or maintaining Tolerance and Reconciliation on the European continent”. In 2015 the famous football-player Samuel Eto’o has been awarded with the medal of tolerance for fighting racism and promoting tolerance in football. The European Medal of Tolerance for the 2016 has been conferred on the film director Andrey Konchalovsky “for his cultural achievements focused on preserving the tragic memory of the past including his film “Paradise” (2016). In 2018 the Prince of Monaco Albert II has been awarded with the Medal of Tolerance for his exceptional personal leadership and inspiration to advance truth, tolerance and historical reconciliation. The ECTR was one of the initiators and organisers of the international conference “Towards Reconciliation. Experiences, Techniques and Opportunities for Europe” held on 24-25 of October, 2010, in Dubrovnik, Croatia. 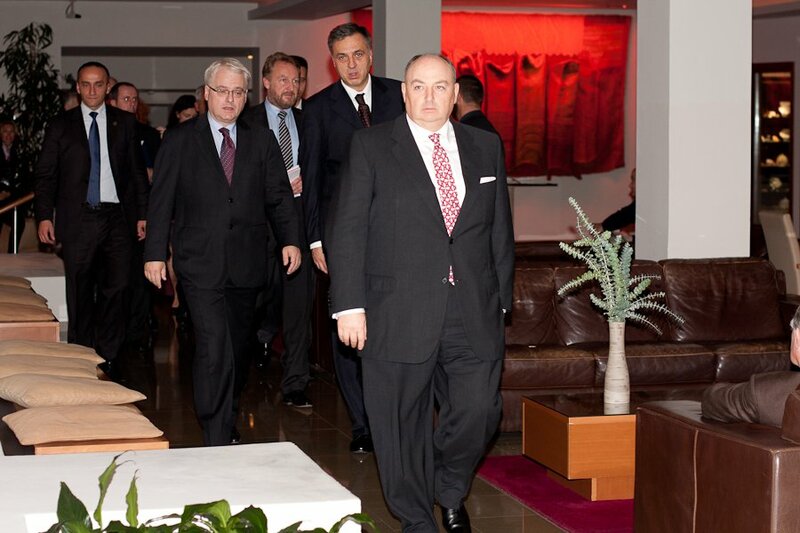 The gathering brought together current and former heads of European nations to collect European experience in reconciliation, and to pass this on to the Balkan nations. 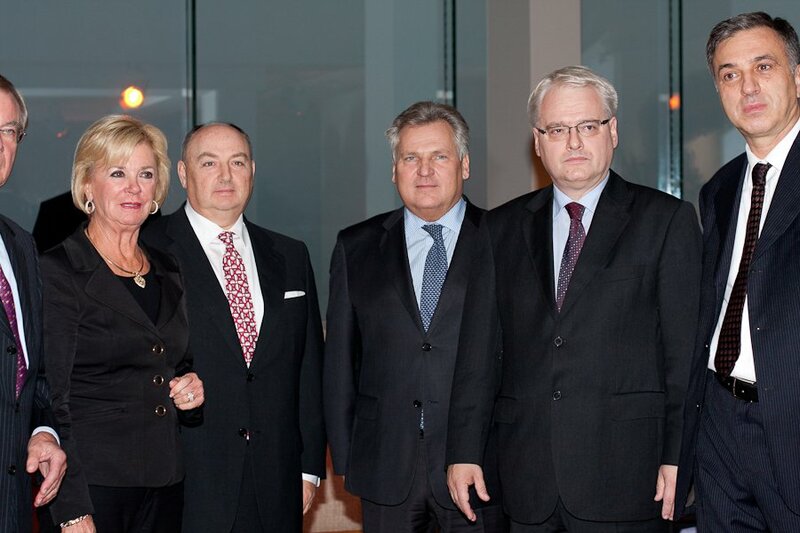 In October 2012 ECTR Co-Chairmen Alexander Kwasniewski and Viatcheslav Kantor have officially presented to public the Model National Statute for the Promotion of Tolerance. This document has been passed to the President of the European Parliament Martin Schulz. The Model National Statute has been unanimously adopted – under the sponsorship of the ECTR – by a group of experts consisting of five scholars from different countries and from diverse backgrounds: Prof. Yoram Dinstein (Professor Emeritus of International Law and Human Rights, Tel Aviv University, Israel) (Chair); Dr. Ugo Genesio (retired Judge, Italian Supreme Court); Prof. Rein Mullerson (Rector, University Nord, Talinn, Estonia); Prof. Daniel Thürer (Professor Emeritus of International and European Law, University of Zurich, Switzerland); and Prof. Rȕdiger Wolfrum (Director, Max Planck Institute for Comparative Public law and International Law, Heidelberg, Germany). The Statute is designed for adoption by the respective national legislatures of European States. Its purpose is to fill a vacuum: although all European States are committed to the principle of tolerance, nowhere is this principle defined in binding legal terms. The principal challenge in preparing the Model Statute was to go beyond rhetoric and generalities, spelling out concrete and enforceable obligations that ensure tolerance and stamp out intolerance. The ECTR has presented this document in a series of meetings and seminars with international organizations, including the Council of Europe and the OSCE. As a result there is currently a joint ECTR-European Council task force which is working on its implementation. As a tolerance watchdog, the ECTR prepares practical recommendations for governments and international organisations on improving interreligious and interethnic relations on the continent. The Council is one of the few international organisations focused on fighting xenophobia, anti-Semitism and racial discrimination in the modern world. 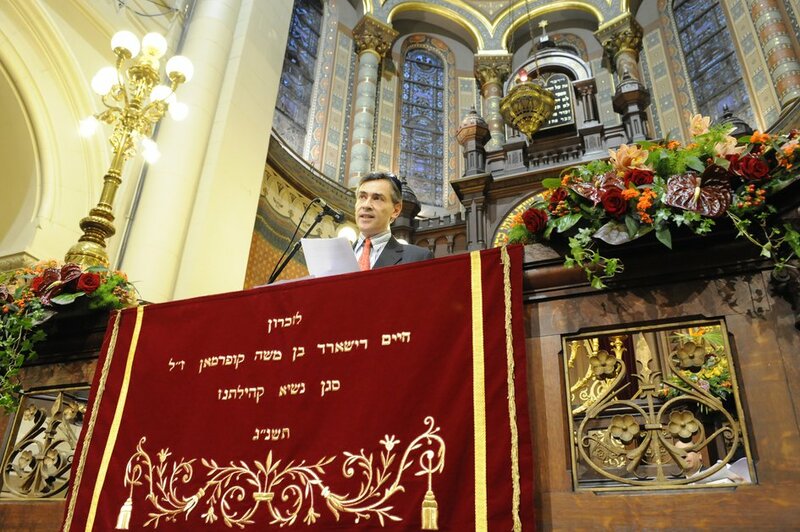 On November 9–16, 2008, the ECTR was among the initiators and organisers of a series of events held as part of the European Week of Tolerance on the occasion of the 70th anniversary of die Kristallnacht and International Day for Tolerance. In the course of official events the ECTR presented a draft European Framework Convention on Promoting Tolerance and Combating Intolerance and the Concept for a White Paper on Tolerance to the European Parliament. Both of these innovative conventions have great significance in the promotion of tolerance in Europe. 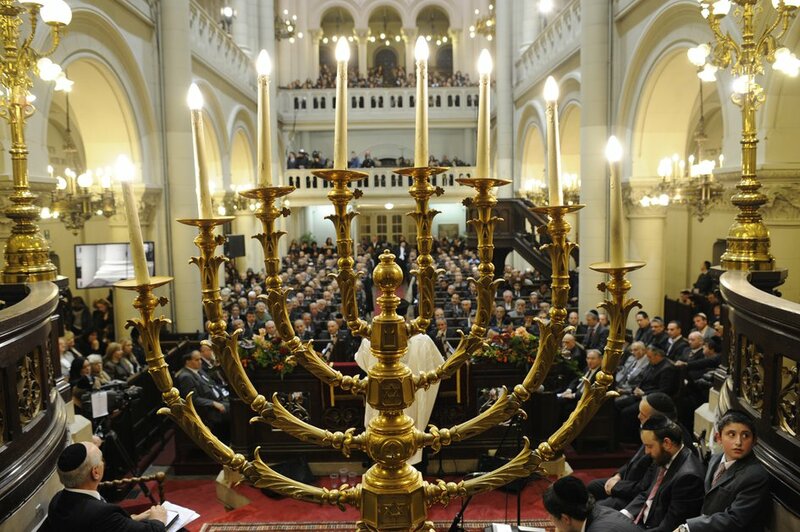 A memorial event commemorating the 70th anniversary of die Kristallnacht (Kaliningrad, November 16, 2008). 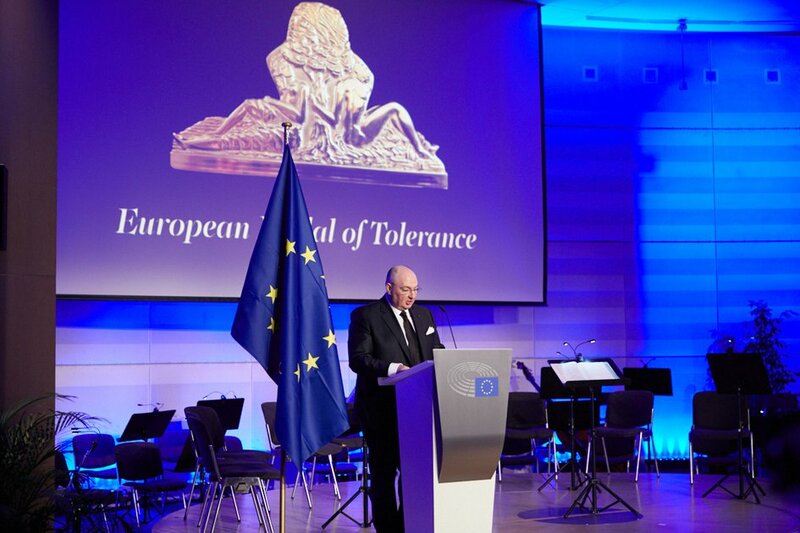 In 2008, the ECTR established a European tolerance award called the Medal of Tolerance. The purpose of the prize is to honour the extraordinary creative achievements of outstanding activists who promote tolerance and reconciliation in Europe, as well as fighting xenophobia and racial and religious discrimination. The Medal of Tolerance may also be awarded to the families of individuals who have lost their lives in the struggle against extremism and intolerance. The First European Medal of tolerance was conferred on October 11, 2010 on the King of Spain Juan Carlos I for his lifelong dedication and devotion to thecause of tolerance and political reconciliation. The ECTR was one of the initiators and organisers of the international conference “Towards Reconciliation. Experiences, Techniques and Opportunities for Europe” held on October 24-25, 2010, in Dubrovnik, Croatia. The gathering brought together current and former heads of European nations to collect European experience in reconciliation, and to pass this on to the Balkan nations. Its aim was to collate positive examples of the European experience of reconciliation, and to convey these successes to the Balkan nations, alongside implementation strategies. 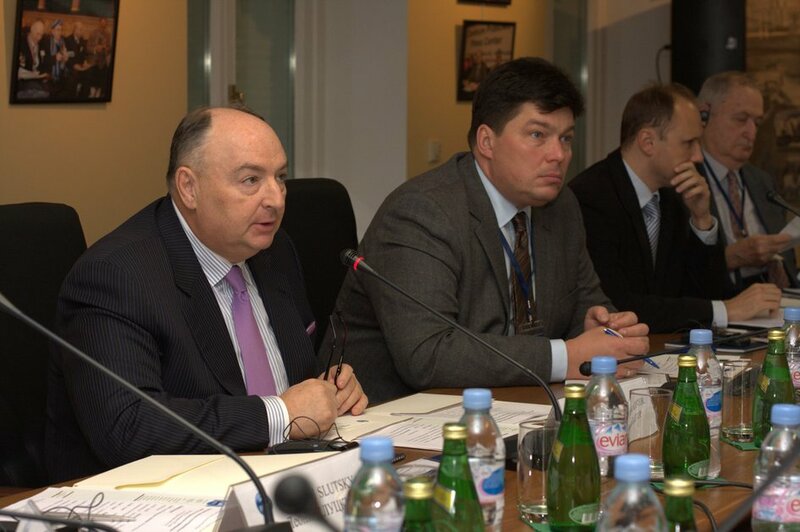 The ECTR held a Round Table Meeting in Moscow on October 25, 2011. Russian and international experts discussed issues of paramount importance connected with the current status, aspects and promotion of tolerance in Europe and in Russia. The experts also touched on such topics as the boundaries of tolerance, nuclear tolerance and secure tolerance in order to prevent a clash of civilisations. The ECTR’s initiative to establish a Centre for Tolerance and Security at a leading European university was also discussed at this meeting. 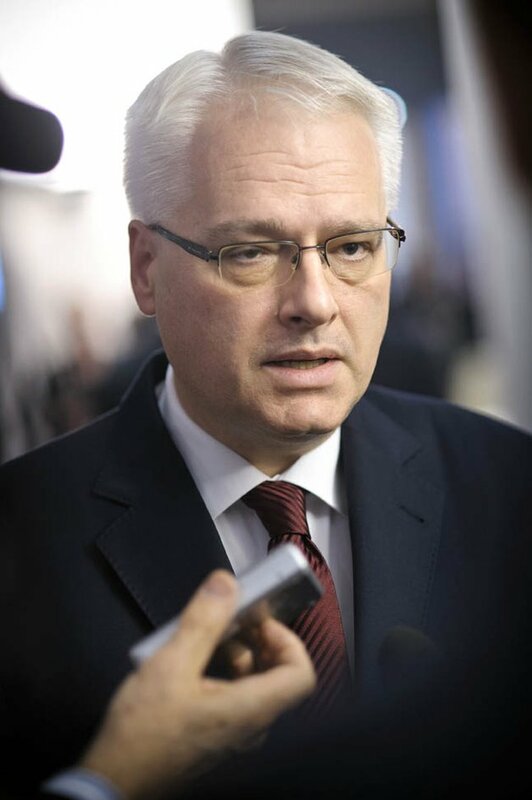 Two Balkan leaders, The President of Croatia, Ivo Josipović and the the former President of Serbia, Boris Tadić, were awarded the Medals of Tolerance for their examples of tolerance, honesty, moral courage and reconciliation in a region that has known so much conflict. Brussels, October 16, 2012. 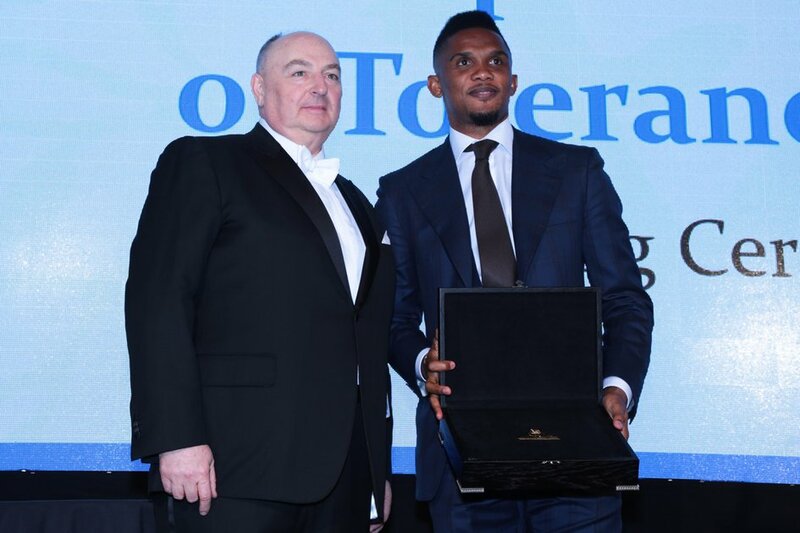 The famous football-player Samuel Eto’o has been awarded with the medal of tolerance for fighting racism and promoting tolerance in football. London, March 10, 2015. Film director Andrey Konchalovsky has been awarded with the European Medal of Tolerance for the 2016 “for his cultural achievements focused on preserving the tragic memory of the past including his film “Paradise” (2016). Brussels, January 25, 2017. 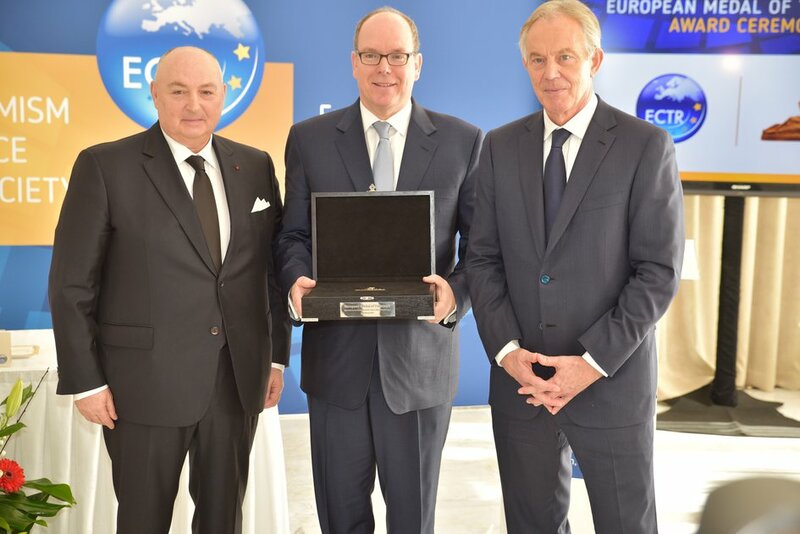 The European Medal of Tolerance for the 2017 has been awarded to the Prince of Monaco Albert II for his exceptional personal leadership and inspiration to advance truth, tolerance and historical reconciliation. The ECTR has presented the Model National Statute for the Promotion of Tolerance in a series of meetings and seminars with international organizations, including the Council of Europe and the OSCE. Brussels, October 16, 2012. The European Council for Tolerance and Reconciliation held on March 5-7th, 2018 in Monaco a Round Table discussion “Tackling Extremism and Intolerance in a Diverse Society”. 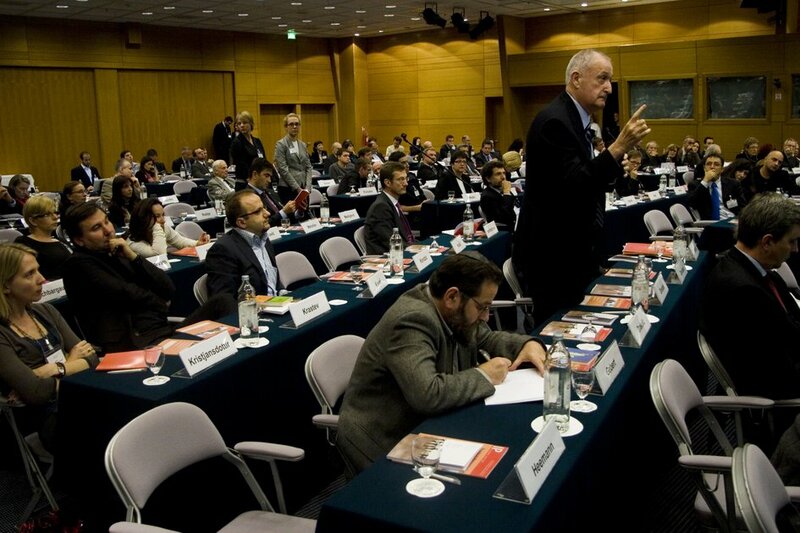 The conference was held under the Patronage of the Secretary General of the Council of Europe, Mr. Thornbjorn Jagland. In 2008, the ECTR established a European tolerance award called the Medal of Tolerance. The purpose of the prize is to honour the extraordinary creative achievements of outstanding activists who promote tolerance and reconciliation in Europe, as well as fighting xenophobia and racial and religious discrimination. The ultimate aim is to draw attention to successful deeds and accomplishments that may serve as models for others in the field of tolerance and peace-building. The prize thus recognizes practical effectiveness as well as vision; impact assessment is a part of the nomination and evaluation process. 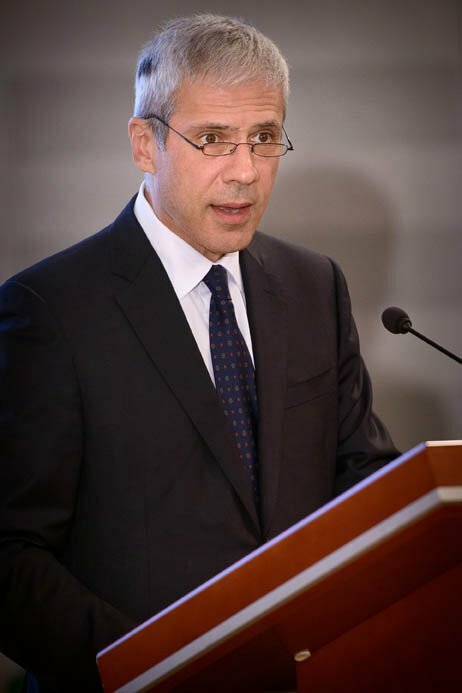 This prize is dedicated to effective implementation of the Principles of Tolerance in both public and private spheres, in particular in the policy making process, legislative action at a national and regional level, and law enforcement activities as well as in the arts, education, culture, science and communication. The prize is to be awarded to individuals, groups of people, non-governmental, governmental and intergovernmental organizations and institutions for exceptional contributions to, and leadership in, the promotion of tolerance on the European continent and to the fight against the most odious forms of intolerance such as xenophobia, anti-Semitism, aggressive nationalism, political extremism and racially-motivated hate crime. The Medal of Tolerance may also be awarded to the families of individuals who have lost their lives in the struggle against extremism and intolerance. The prize will be in form of a gold ‘European Medal of Tolerance’ presented to the recipient as a concrete and lasting token of the award. 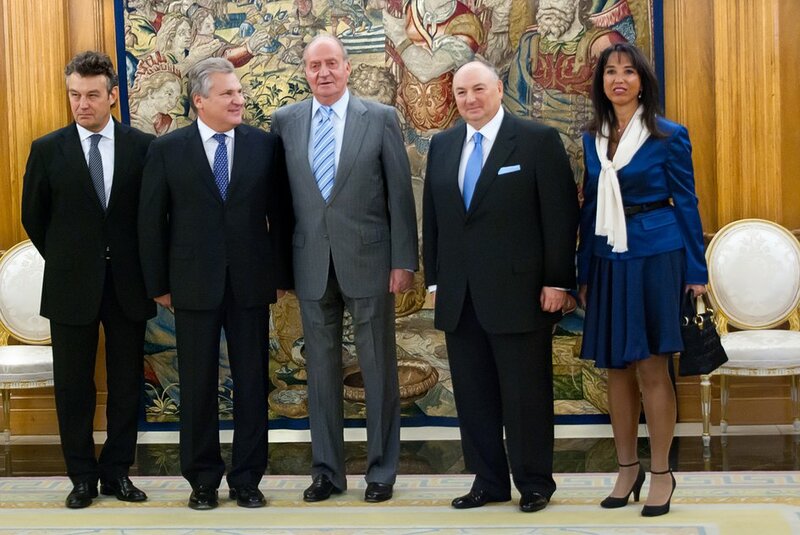 The first presentation of the Medal of Tolerance was held on November 11, 2008 in the context of the Week of Tolerance in Europe international public initiative. The First European Medal of tolerance was conferred on October 11, 2010 on the King of Spain Juan Carlos I for his lifelong dedication and devotion to the issue of tolerance and political reconciliation. 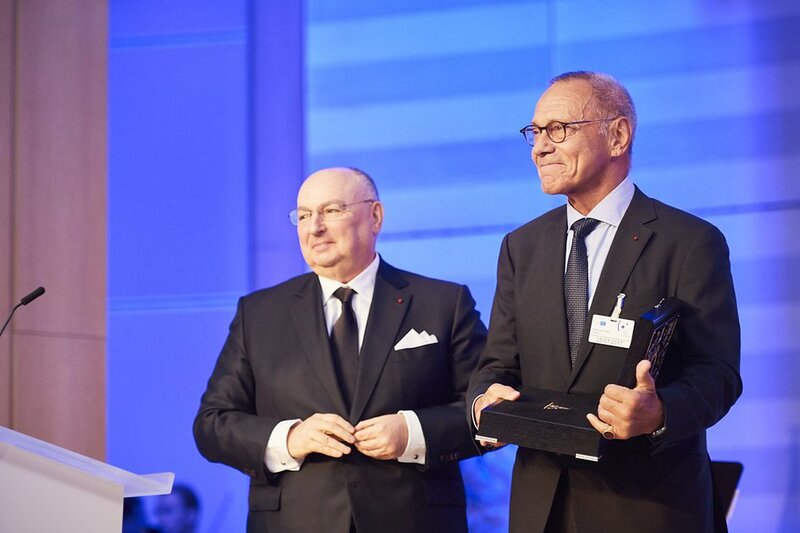 The European Medal of Tolerance for the 2016 has been conferred on the film director Andrey Konchalovsky “for his cultural achievements focused on preserving the tragic memory of the past including his film “Paradise”. In the recent past tolerance has been understood in negative terms as a condition that exists whenever human rights are properly respected. Understood in this way tolerance is a by-product of a right-based society, which can be promoted by a policy of non-interference in basic freedoms. But tolerance that is based only or mainly on a passive approach of this kind cannot be secure when society contains groups and movements that do not accept the value of peaceful coexistence that tolerance serves. Organizations and ideologies that target particular groups with hatred, promote ethnic nationalism, racism and anti-Semitism or launch terrorist assaults on society at large are a growing challenge that a regime of rights cannot by itself resist. Far-right parties and violent Islamist networks are at one in rejecting the underlying objective of tolerance, which is a creative modus vivendi among different religions, communities and lifestyles. This goal of modus vivendi must be actively promoted as an end in itself, rather than expecting it to emerge as an automatic result of protecting rights. Areas of concern relevant to this end include increasing inequalities in wealth, income and opportunity, changing patterns of immigration and the growth of sub-cultures that have not internalized or actively reject the practice of tolerance. To support forward thinking on secure and sustainable concepts of tolerance, the ECTR launched in 2018 a new Research Grants Programme. New thinking on secure tolerance needs to be developed in a variety of contexts and disciplines. Especially philosophy and theology, history and law, sociology and political science together with literature and the arts can contribute to re-imagining tolerance so that it can meet these new challenges. The ECTR seeks applications from practitioners of all these disciplines and others, whether they are individuals, groups or organizations, and from those who practice cross-disciplinary approaches. Applications will be judged on how they contribute to thought on that subject. The nominations review and selection of Prize recipients would be carried out by the ECTR Academic Advisory Group. The Group comprises of eminent scholars, including i.a. 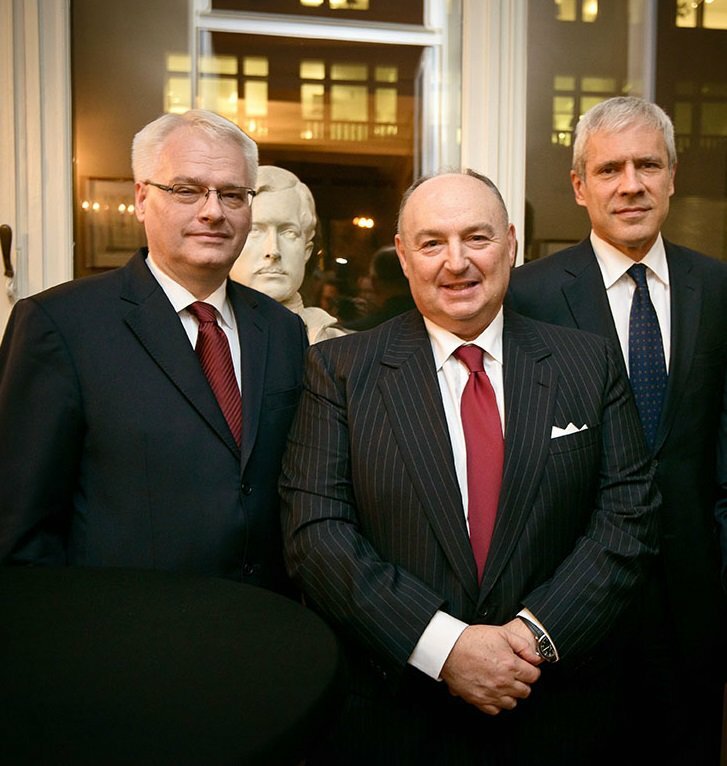 John Gray (Chair), Antony Beevor, Alexander Dynkin and Timothy Snyder. The activities of the ECTR are supported also by Bernard-Henri Lévy, well known philosopher and political thinker, one of the most prominent intellectuals in France in Europe. The Group is tasked with general overview of the Kantor Prize and Grants Programme and selection of incoming applications. Within the selection process, the Group can decide on the amount of funding contributed to each selected application. Up to 10 Research Grants amounting 20-50 thousand Euro each will be available for 2019/2020. The decision on the awarded amount will depend on the programmatic or scientific content of an application. It can be awarded to begin new research or continue research that is ongoing. 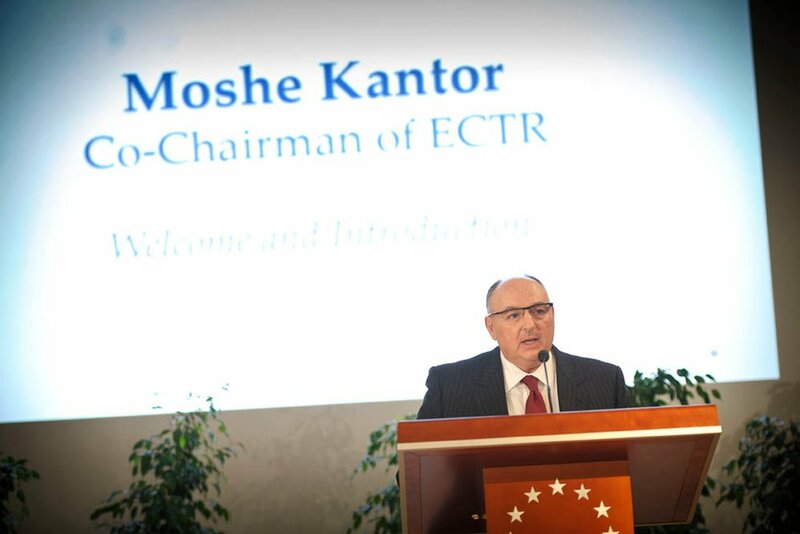 The ECTR welcomes nominations to the Kantor Prize on Secure Tolerance and applications for ECTR Research Grants at the e-mail: office@ectr.eu and by traditional post to: ECTR, Avenue de Messidor 200/7, 1180 Brussels, Belgium. In 2013 the EСTR presented a framework for a National Statute for the Promotion of Tolerance which seeks to ‘criminalise hate crimes, incitement to violence, group libel and overt approval of a totalitarian ideology, xenophobia, anti-Feminism or anti-Semitism, amongst other offences’. This pan-European initiative aims to make intolerance a punishable crime by securing the commitment of every European parliament to going beyond rhetoric by enacting enforceable obligations in binding legal terms. The statute states that juveniles convicted of committing these crimes will be required to undergo a rehabilitation programme designed to instill in them an understanding of tolerance. There is also a requirement for schools to introduce courses encouraging students to accept diversity and that television and radio stations will devote a prescribed percentage of their programing to promoting tolerance. The Model European Statute for the Promotion of Tolerance has been unanimously adopted – under the sponsorship of the ECTR -by a small Group of Experts consisting of five scholars from different countries and from diverse backgrounds: Prof. Yoram Dinstein (Professor Emeritus of International Law and Human Rights, Tel Aviv University, Israel) (Chair); Dr. Ugo Genesio (retired Judge, Italian Supreme Court); Prof. Rein Mullerson (Rector, University Nord, Talinn, Estonia); Prof. Daniel Thürer (Professor Emeritus of International and European Law, University of Zurich. Switzerland); and Prof. Rȕdiger Wolfrum (Director, Max Planck Institute for Comparative Public law and International Law, Heidelberg, Germany). The Model Statute is designed for adoption by the respective national legislatures of European States. Its purpose is to fill a vacuum: although all European States are committed to the principle of tolerance, nowhere is this principle defined in binding legal terms. The principal challenge in preparing the Model Statute was to go beyond rhetoric and generalities, spelling out concrete and enforceable obligations that ensure tolerance and stamp out intolerance. Historically, the victims of intolerance change: sometimes they are Jews; sometimes they are Moslems; sometimes they are Roma; etc. Unique specific issues arise all the time due to changing demographics. Tolerance springs from the rights of groups to be different and distinct. However, tolerance does not contradict the principle of the coexistence of groups within a single society. A compromise has to be worked out. The Model Statute consists of a legislative text with accompanying explanatory notes. The text consists of a Preamble and nine substantive Sections. The Preamble gives full expression to the duality of diversity and solidarity in society, emphasizing that the overriding consideration is coexistence. Section 1 deals with four definitions: (a) “Tolerance”; (b) “Group”; (c) “Group libel”; and (d) “Hate crimes”. Section 2 states the Purpose of the Model Statute. A list of examples of intolerance is enumerated, including “xenophobia, anti-Semitism, anti-feminism and homophobia”. Section 3 lists the main human rights the enjoyment of which is covered by the obligation of tolerance. Section 4 is the limitations clause, and in many respects it is the key provision. The explanatory notes mention many contemporary issues from terrorism to female circumcision. Section 5 deals with migrants, one of the issues that is currently uppermost in the public mind in Europe. Section 6 relates to implementation. The Draft Model Statute sets up a National Tolerance Monitoring Commission – an independent body composed of eminent persons from outside the civil service – vested with the authority to serve as a watchdog. Section 7 covers penal sanctions. Section 8 addresses the issue of education. The basic idea is to promote the culture of tolerance from a very early age and to go on into adult education. Section 9, the last one, goes into the issue of the media, empowering a Press Complaints Commission – set up by the media themselves – to supervise implementation of the law. The Model Statute is replete with innovations. It can only be hoped that the various national legislatures of European States will show their readiness to adopt it. The next stage in the Project will be to endeavor to bring this about. Prof. Yoram Dinstein (Chair), fmr. 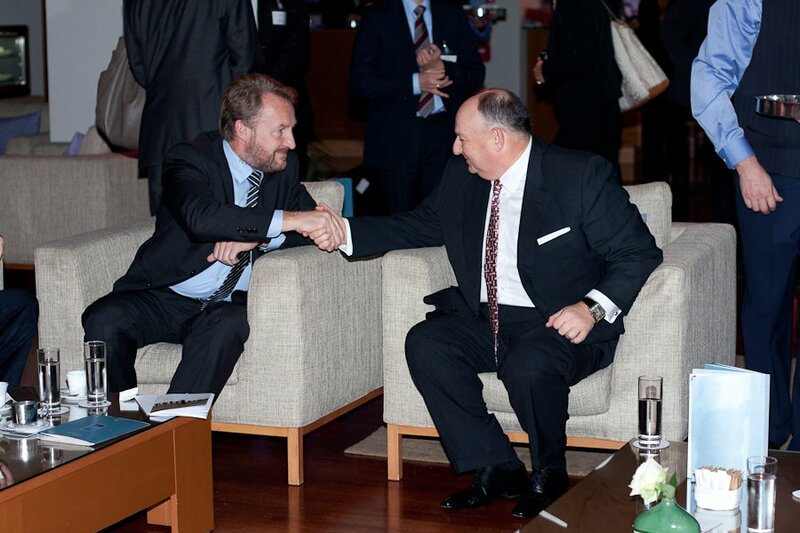 President of Tel Aviv University; President of Israel’s national branch of the International Law Association and of the Israel United Nations Association. Prof. Rudiger Wolfrum, Director of the Max Planck Institute for International and Public Law, University of Heidelberg, current Judge and fmr. President of the UN International Tribunal for the Law of the Sea in Hamburg. Prof. Rein Mullerson, fmr. First Deputy Minister of Foreign Affairs of Estonia; professor at King’s College, London and the London School of Economics. Prof. Daniel Thurer, President of the German International Law Association, Professor at the University of Zurich, Member of the European Commission against Racism and Intolerance, Council of Europe. Hon. Ugo Genesio, fmr. Judge of the Supreme Court of Italy, Co-Founder and Secretary General of the San Remo International Institute of Humanitarian Law.